Book Darakum Nile River Cruise Cairo to Luxor. Long Nile Cruise Cairo to Luxor. 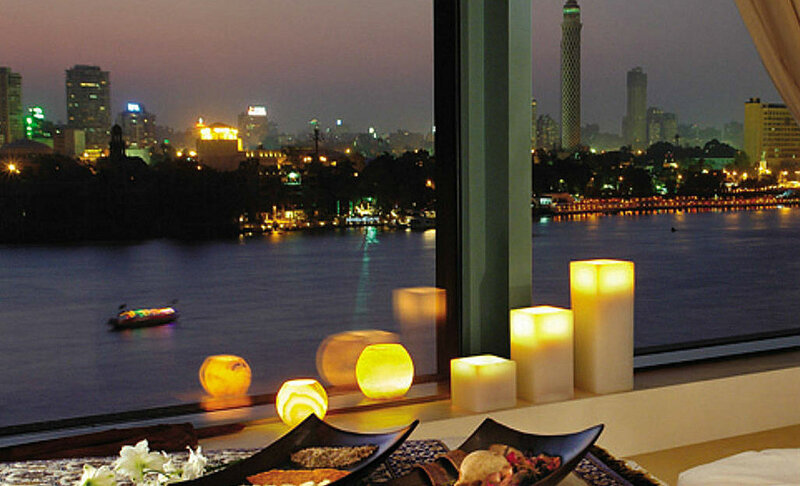 Luxury Cairo to Lxuor Cruise Itinerary Onboard Movenpick Ms Darakum Nile Cruise Boat. Give Yourself Ever Lasting Memories Sailing the Nile With Deluxe Nile River Cruise From Cairo to Luxor. The Capital of Ikhnaton, 100 km on the east bank of the Nile north of Asyut in Upper Egypt. Built 1348 BC by Amenhotep IV (Akhenaton) to be his capital and devoted to god Aton. Horizion of Aton was the name given to the city. Egyptian archaeological site carved into limestone tombs 20 Km south of El Minya, 245 Km south of Cairo Egypt. It consists of 39 tombs with daily life scenes for the military ‎leaders and local rulers of the XII dynasty Middle Kingdom between 2055 until 1650 BC. Ikhnaton capital 1390 BC, 245 km south of Cairo halfway between Cairo and Luxor. El Minya covers an area of 32,279 sq with 4 million population. Named after King Khufu "the nursing city of Khufu", home to various archeological sites like Beni Hasaan & Tel Amarana. 90 km southwest of Cairo less than 2 hours driving located Al Faiyum. One of Egypt oldest cities and oases with several historic sites from various eras. Home to multiple activities from bird watching, hiking and fishing. Book MS Darakum Nile River Cruise Cairo to Aswan. Long Nile Cruise Cairo to Aswan. Luxury Cairo to Aswan Cruise Itinerary Onboard Movenpick Ms Darakum Nile Cruise Ship. Give Yourself Unforgettable Journey Along the Nile Cruising Through 7,000 Years of History. Book Darakum Nile River Cruise Luxor to Cairo. Long Nile Cruise Luxor to Cairo. Luxury Luxor to Cairo Cruise Itinerary Onboard Movenpick Ms Darakum Nile Cruise. MS Darakum Luxury Nile Cruise Offers Unique Life Time Experience Cruising Up the Nile Through 7,000 Years of History. Book MS Darakum Nile River Cruise Aswan to Cairo. Long Nile Cruise Aswan to Cairo. Luxury Aswan to Cairo Cruise Itinerary Onboard Movenpick Ms Darakum Nile Cruise, One of The Largest and Luxurious River Nile Cruises Aswan to Cairo Cruise Ships with Various Activities.